Reward and award them with Emojis! With the flick of the wrist this smiley face yo-yo will roll down and back up. Yo-yo’s are a fun indoor or outdoor activity to keep anyone entertained. Fun addition to emoji or smiley face-themed party supplies. 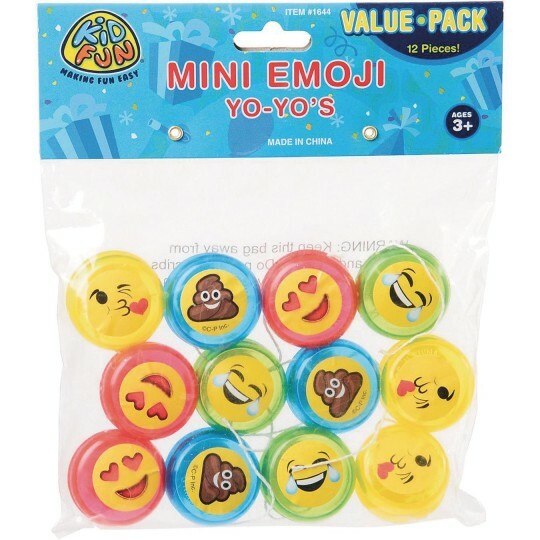 Great for goodie bags, piñatas, and emoji-themed parties or events. 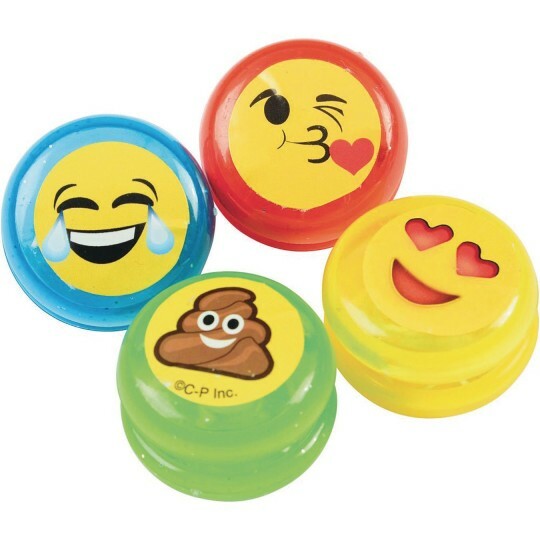 These Mini Emoji Yo-Yo’s will surely make fun carnival prize and kids will love the emojis in their classroom reward buckets.